It’s not just wildflowers. Take action for kit foxes condors and other Carrizo wildlife. When it comes to Carrizo Plain National Monument, we’re working to protect more than wildflowers. This special place — site of 2017’s unusual wildflower “super bloom” — is important to endangered San Joaquin kit foxes, California condors and nature lovers from around the world. 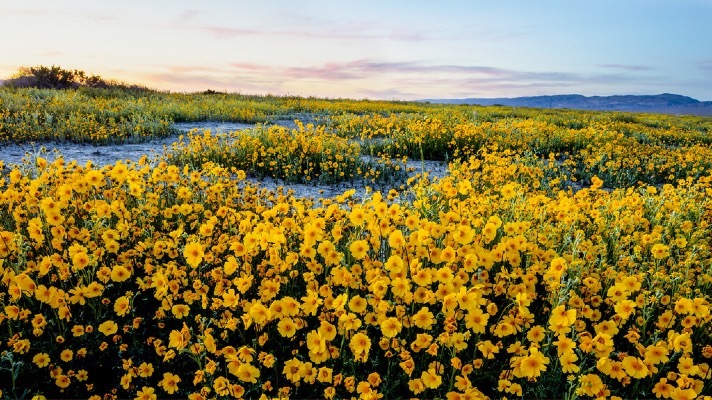 Help protect Carrizo Plain National Monument. Urge E&B Natural Resources Management Corp. to abandon drilling plans in Carrizo Plain National Monument. The monument is perhaps best known for its 2017 wildflower “super bloom,” which attracted thousands of nature lovers.2 But there is so much more at stake here. This place and its wildlife are worth saving Urge E&B Natural Resources Management Corporation to do the right thing and abandon its drilling plans in Carrizo. 1. Monica Vaughan, “Trump administration approves oil drilling, pipeline in Carrizo Plain National Monument,” San Luis Obispo Tribune, April 20, 2018. 2. David Williams, “California desert’s wildflower ‘super bloom’ delights nature lovers,” CNN, March 9, 2017. 3. Monica Vaughan, “Trump administration approves oil drilling, pipeline in Carrizo Plain National Monument,” San Luis Obispo Tribune, April 20, 2018.